With over 20 years of experience in the industry, we have developed the expertise and knowledge needed to ensure efficient completion of projects without compromising quality. Our talented staff, combined with our fully outfitted fleet of top of the line equipment and premium materials, are skilled in delivering a finished product that will delight you just as much 10 years from now as the day it was first installed! Landscape Planting - whether you need a full renovation of your property, a splash of seasonal color, or a planting to block a view, we can work with you to develop a plan to meet your needs no matter what the size! Sod installation or Seeding - Whether new construction or old, if you need an area quickly turned into useable lawn area, we can help! Grading and Drainage - An often overlooked element of the landscape, having the proper grading and drainage installed on a job is critical in avoiding erosion and unsightly ponding. We can take care of these common issues for you in a way that will compliment your existing landscape. Existing landscape removal - Does your home’s landscape currently look like a jungle because the builder planted a lot of plants too close together and they are now overgrown? Or have things just gotten away from you the past few years? Whatever the case, we have the capability to quickly remove overgrown elements of your landscape, install new soil, etc., and develop a new, easier to maintain planting. All debris from our jobs are recycled and made into mulch and other products! Contact Us For All Your Landscape Installation Needs! Beautifying your outdoors is hard work and requires you to spend a considerable amount of money. The task of finding a true landscape professional is not to be taken lightly Because of this, you should ensure that you will only trust a landscaping company that can deliver positive results—just like us at Todd Quality Landscape Services. Our winning combination of expertise in landscape installation, more than a decade in the industry, partnerships with trusted materials suppliers, a complete fleet of professional tools and equipment, and our unmatched dedication to providing exceptional landscape designs is what separates us from the rest. If you wish to get your money’s worth, then try our brand of service and we can guarantee you the results that you expect and meet—even exceed your expectations! So whether you’re in Spring City, Phoenixville, Chester Springs or other areas in Chester County, PA as well as Limerick, Pottstown and other areas in Montgomery County, PA we are just a phone call away. Discover how we can help you with all your landscape installation needs. 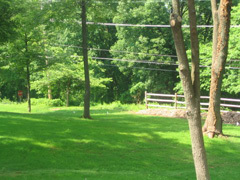 Todd Quality offers complete grading, seeding and sod installations for new and old construction. 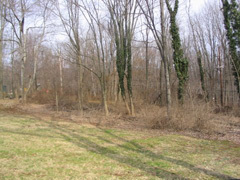 We also offer a lot clearing service to turn your overgrown or wooded areas into usable lawn space. 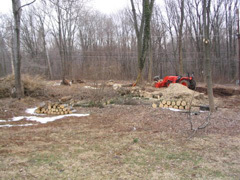 This project shows a good example of how lot clearing and lawn installation can dramatically change your property. Todd Quality Landscape Services can help enhance the beauty of your home by providing lawn installation and maintenance services. With over thirteen years of experience in the business, we are recognized as a leader in the industry, delivering quality jobs that keep our clients coming back.